PT Freeport Indonesia’s underground operation has added an additional fleet of simulators from leading simulator provider Immersive Technologies to develop and improve operator skills and safety at site. As a longtime customer, Freeport has seen a range of production improvements through the continued use of Immersive Technologies’ simulators. In an industry where capital expenditure is subdued, Freeport has committed to invest in the safety and effectiveness of its operators as its underground mining operations expand. The Grasberg minerals district contains one of the world's largest copper and gold deposits and focuses on local hiring and skills development. Their regional technical training programs prepare community members for careers in mining and have utilized simulators from Immersive Technologies for their surface operations since 2001. “PT Freeport has the opportunity to increase production and our simulator training solutions will help develop their workforce safely and effectively. We are proud our solutions have been proven to be effective, reliable and worthy of continued investment,” says Nicky Suwandy, Regional Vice President – Asia, Immersive Technologies. 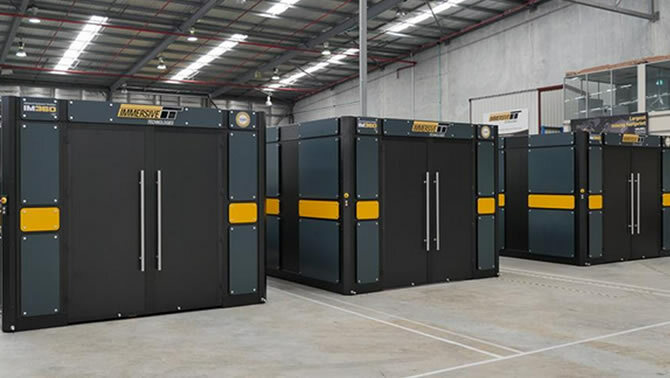 PT Freeport has utilized underground operator training simulators from another supplier, however has now elected to adopt Immersive Technologies’ advanced solutions across both their surface and underground mining operations. They will add simulators for their light vehicles, underground LHD’s, underground trucks, jumbo drills, underground locomotives, Cat® Command for Underground system, as well as different custom mine sites so operators can train on a simulated version of their actual mine site. Immersive Technologies professional services will be utilized to develop and integrate the training curriculum in line with their specific needs ensuring significant return on their investment. With advanced simulator modules deployed in 39 countries, Immersive Technologies is dedicated to provide outstanding service. To deliver on this commitment the company has customer sales and support offices located close to its customers in Perth and Brisbane Australia, Salt Lake City USA, Calgary, Ottawa & Vancouver Canada, Monterrey Mexico, Lima Peru, Santiago Chile, Bochum Germany, Johannesburg South Africa, Jakarta Indonesia and Moscow Russia.